I love Christmas and albeit amazing under coconut trees on a stunning beach in Costa Rica last year, I can’t wait to be with family for this one. You guys know I have been pretty hot on waste recently and I am trying my best to cut out unnecessary plastics amongst other things good for the planet. Unfortunate to say but Christmas has to be one of the most wasteful times of year, when it really doesn’t need to be. We have to pull ourselves back to what it’s all about and for me, that’s the magic of the festivities for the kids, having time off work, fun times with family, sharing good food and scooping drunk relatives off the floor at the end of the night. we will use it for years and something we both have an interest in ( I know that’s not waste free) but it does avoid buying unnecessary / unwanted gifts. For as long as I can remember, my family and I have been doing ‘secret Santa’ amongst all of the adults. We don’t end up spending lots of money and we all get one gift we really like. I highly recommend trying it out, we all find it so much fun. As for the kids, they get tonnes of gifts from others, they are very lucky. I honestly don’t like going crazy with the piles of toys. They love being outside the most, so Santa tries to incorporate that into gifts. Not to mention this year, Santa is doing his best to avoid plastic. I’ve come up with some ideas for waste-free gifts for the entire family, giving back experiences and eco-friendly decorations! made of wood too! Likewise it’s a unisex gift meaning both of our kids can get plenty of use out of it. (Worldwide) are great example brands. The latter being good for younger children whilst Infinitoo is better for kids from 3 years old and up. Kids have a variety of shapes and sizes to work with. No combination is wrong and allows them to deconstruct and contextualise their creations. with some winter vegetable seeds. that they can make it themselves and paint. 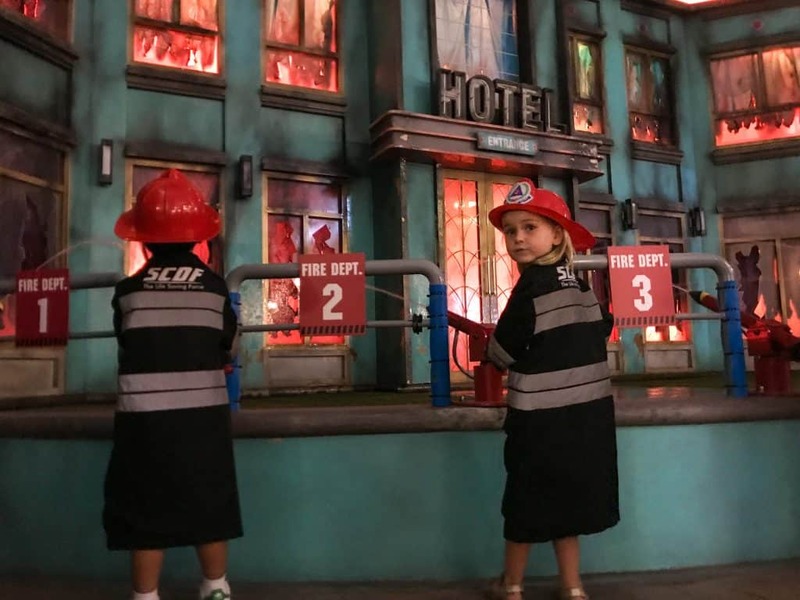 When we were in Singapore, we took Esme to Kidzania. It’s such an amazing day out for children from 4 up to 16 years old. It’s essentially a city run by children. They can do any job they like, everything from a fire fighter, to a shop attendant. The entire experience is so interactive and amazing for their development. Esme absolutely loved it and hasn’t stopped talking about it since. This year we are buying her two tickets so she can take a friend. Our little boy doesn’t have much attention span at the best of times but he does love and engage with theatrical performances. I can’t get over how engrossed he gets. This year I am on the hunt for tickets to something he would love. A great place to look for family theatre productions is Theatre Tickets Direct or Buy a Gift. I have my eye on the Lion King! Shaun and I rarely get any one on one time with Esme. She’s in school all week and Quinn is with us otherwise. I do enjoy taking her to do something special. Whether it’s a manicure or pedicure, she loves that time too. 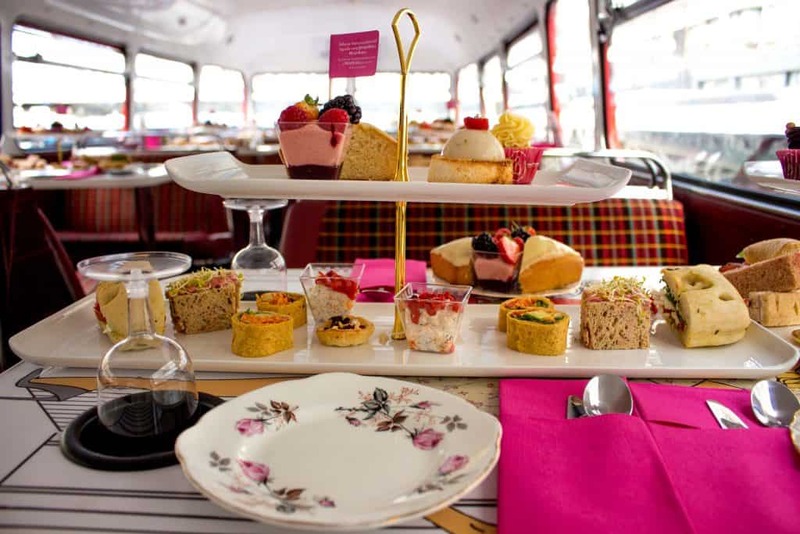 I recently went on an afternoon tea date with my mum and thought Esme would absolutely love it. 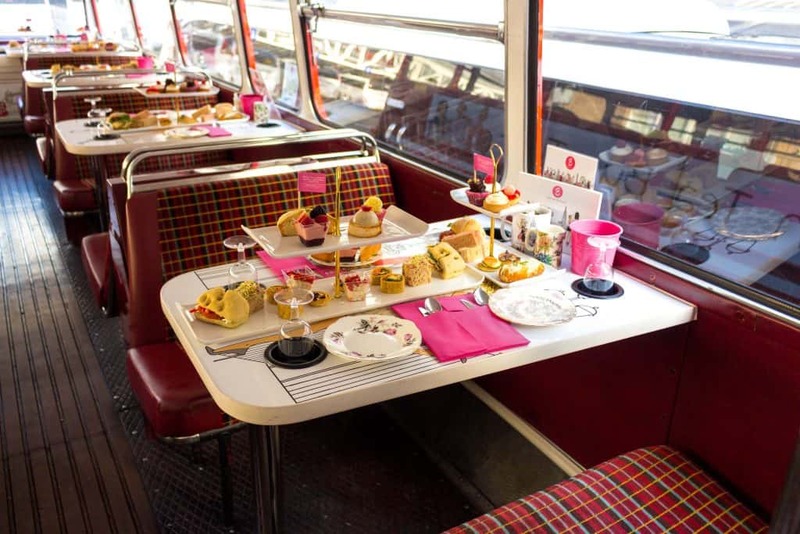 I have been looking at a few different places that do it but I feel she’s just about the right age to go on the bus tour around London with B Bakery. What’s more is they do vegan options. Likewise, I can combine this gift with someone else, like my sister. It was an amazing afternoon, seeing all of the sites around London, whilst sipping on tea and/or prosecco. The food was incredible. We had enough time to eat everything at leisure. There is very little waste produced from the experience with B Bakery, as everything is served on proper plates. Not to mention they gift the reusable cup they serve tea and coffee in to the customer. I can’t wait to take Esme! For years my parents bought me airline vouchers for birthdays and Christmas, as they knew I love to travel. Nowadays there are so many other options to contribute to a loved ones trip. I don’t know about you but as parents of two tots that keep us awake all night, having a little break together, whether it’s a night away at a hotel not too far away, or a spa treatment, both would be well received. I found a night away for two with breakfast for as little as £99. One of the best experience gift cards that is an all rounder is visit.org. You can find a whole host of amazing local experiences across the world. We’ve used it for days out in London and abroad. The ethos of visit.org is to ensure the profit goes back into the local community. 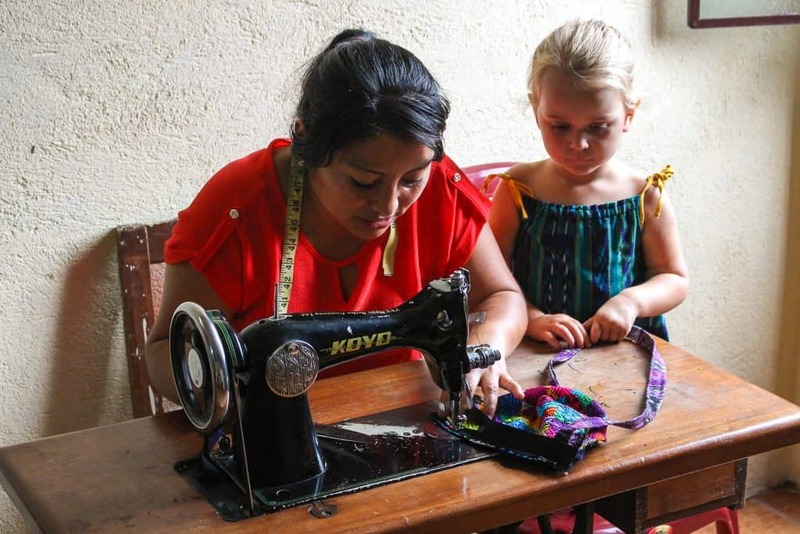 From cooking classes, to craft making, it’s an incredible gift knowing it’s also giving back. You can find visit.org gift cards here. If you like these kind of gifts, The Telegraph have come up with a whole host of charitable ideas. There’s no point reinventing the wheel! We have a Christmas Tree in the attic and although it may not be plastic free, throwing it away for a more eco option only contributes to the problem of waste even more. So we will be holding onto it for the foreseeable. However if it’s your first time wanting to buy a tree and make your house festive with decorations, there are so many options on the market now, I love this oak tree by Not on the High Street. You can even find eco Christmas Crackers made with recycled materials. One of my favourite activities as a child was making my own Christmas wreath for the front door. I went around the park making clippings from the tree and used an old coat hanger moulded into a circle for the structure. It was really easy and there are lots of online tutorials to help you along.
. Perfect for the festive period! 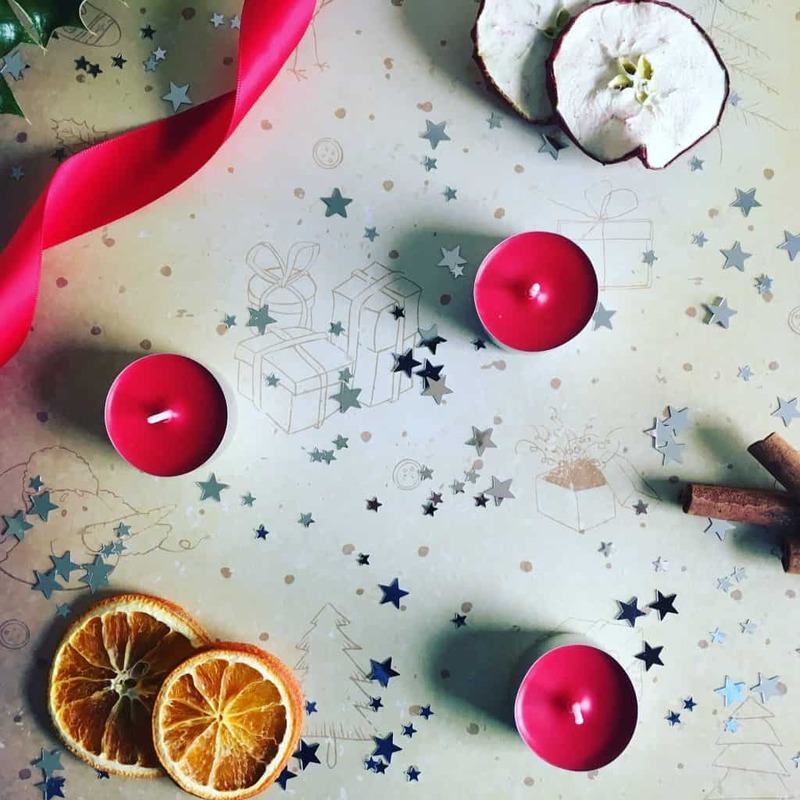 If you love scents, Discover Wax are also a small business that do really lovely festive scents and tea lights. I loved the Elves Apple Cider and the Winter Fir. All of the packaging is fully recyclable and of course the wax is non-toxic and made with soy from all natural ingredients. Many of the wrapping papers out there have a thin layer of plastic coating, making them less than eco-friendly. Rather than buying roles, using materials you already have could be a good idea. Old newspapers or magazines work perfectly for wrapping gifts, they can be made really pretty with ribbon. However, if you like everything to look uniform, it’s worth buying eco-friendly wrapping paper. There are many companies online now, unfortunately there isn’t a whole lot on Amazon at the moment. I love the paper tape from The Plastic Free Shop as an alternative to sellotape. Hobby Craft have gorgeous eco wrapping paper. 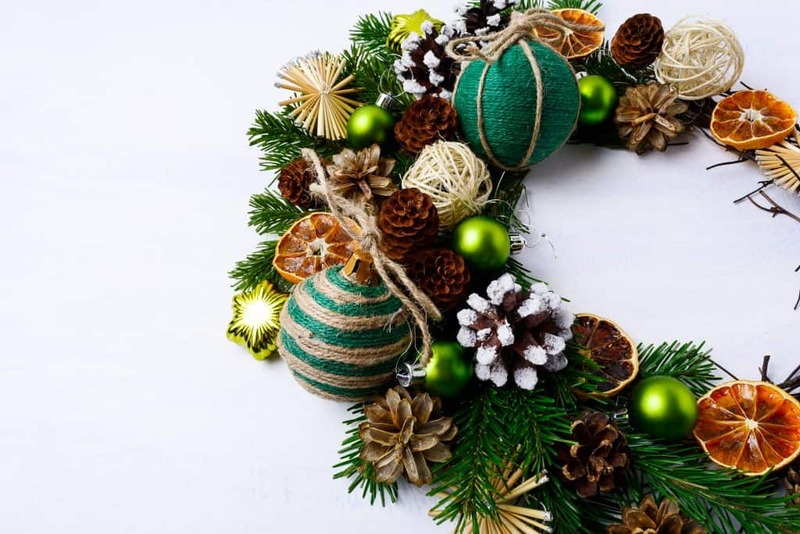 I hope you found this post about having a waste free Christmas useful. If you have any other ideas, leave a comment I love to hear from you. This post contains affiliate links. As always, it will not cost you anything additional if you use them. We get a very small commission to continue writing! Some good ideas here. One of our best family gifts is annual membership for the National Trust. Free days out locally, whilst on UK breaks and when visiting family. Also a great charity/institution to support.